The firm represents developers, owners, general contractors, subcontractors, suppliers and vendors in a wide variety of practice areas relating to commercial construction. Multi-party litigation, contract formation, disputes and interpretation, general liability claims and damages claims are handled by the firm on a regular basis. The firm represents several commercial construction insurance groups, providing counsel and defense for contractors and owners in building defect cases, mold, environmental and toxic tort cases. It protects the interest of its clients in catastrophic injury cases involving death, or paralyzing and debilitating injuries. Allen Summers assists its clients in filing Prompt Pay Act notices, lien notices, as well as bond claims on municipal and government projects. It helps guide companies through the legal minefields that exist when projects stumble or fail, which frequently involve tort, statutory, insurance and contract issues, as well as competing remedies and claims. As active participants in the Tennessee Association of Construction Counsel and the Association of General Contractors, the firm is well positioned to understand the issues that face its clients, and to provide advice as needed to resolve whatever conflicts arise. Allen Summers represents developers, builders, subcontractors, vendors and rental companies that provide services to one another in the residential construction field. 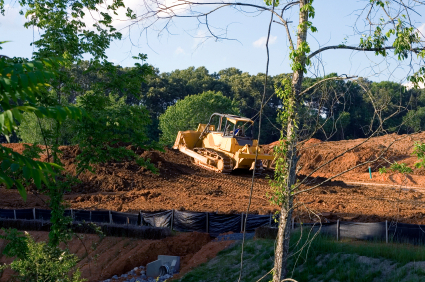 The firm represents and assists various civil contracting entities that engage in private site work for residential subdivisions, and provides representation for contract disputes with municipalities, disputes arising from erosion control violations, and those disputes involving boundaries, encroachment and damages to adjacent sites and the work of others. The firm assists in resolving contract, workmanship and warranty claims with homeowners, Home Owner Warranty disputes with carriers, and those contractual matters that can occur when builder's engage in primary sales of residences. The firm has particular expertise in handling foundation disputes arising out of settling, fill dirt issues and problems with slab construction and soil support issues. As more and more claims are based on Consumer Protection Act violations and similar causes of action, the firm has developed a strong background in litigation of these claims. 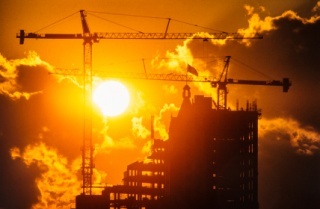 The construction lawyers at Allen Summers are well versed in drafting, negotiating and interpreting contracts that form the basis of the construction project. Construction insurance coverage issues are also areas in which the firm excels. When a client receives a reservation of rights notice from its carrier, we recommend that the client check first with counsel before assuming no coverage exists for the claim being made. The firm assists its clients in working with other parties to the construction contract to reach fair and amicable settlements that preserve the business relationship and allow for continued opportunities on new projects. Firm lawyer Jim Summers is certifed by the Tennessee Department of Environment and Conservation as a Tier One Erosion Control Specialist, and is fully trained in the intracacies of the laws and how to best accommodate the increasing demands of the state and federal government for contractors to meet the expanding regulations impacting construction work. The firm has access to biologists, environmental engineers, and forestry experts who assist in providing solutions when notices of violations are received. This expertise has helped the firm reduce proposed fines imposed on contractors by TDEC by designing and funding alternative projects that benefit the environment in lieu of fines. As construction contracts move away from commercial litigation in a court room setting, the lawyers of Allen Summers are well positioned and experienced in handling arbitration, mediation and other alternative dispute resolution situations. Its lawyers are formally trained and certified at both the state and federal level in mediation, and have engaged in ADR for many years, not only as an advocate for their client, but have provided mediation and neutral services to litigantsin a variety of construction and contractual disputes.